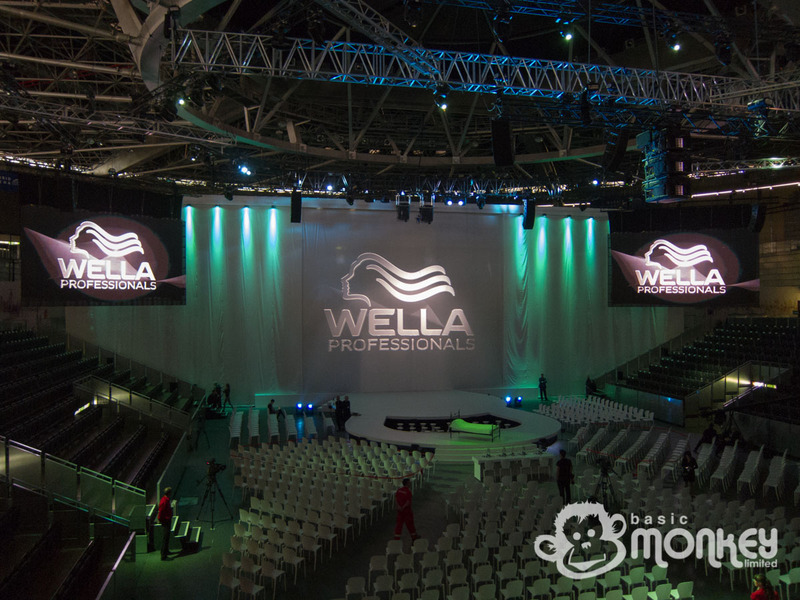 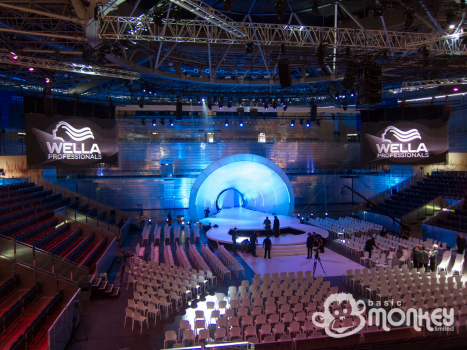 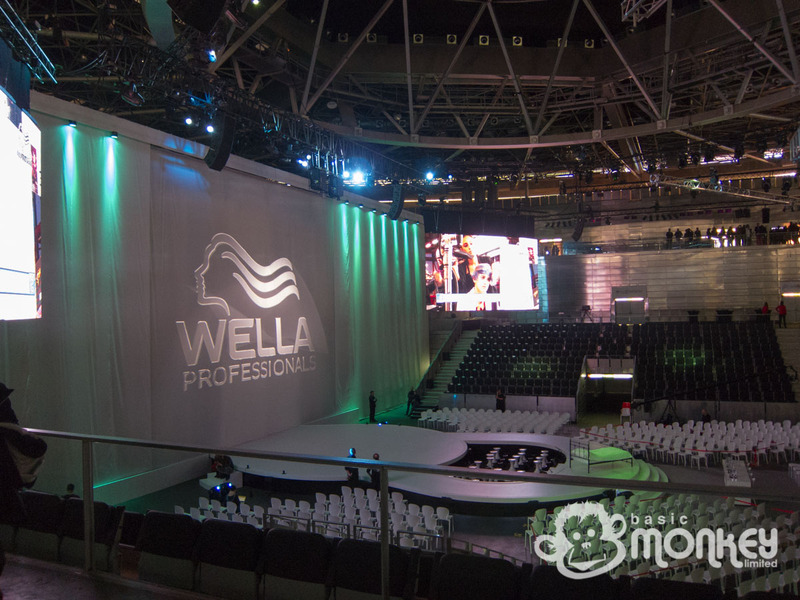 Proctor & Gamble brought The Wella International Trend Vision Award to Madrid this year and again drawn on the expertise of Jack Morton Worldwide to make the event the worldwide spectacle that it has become. 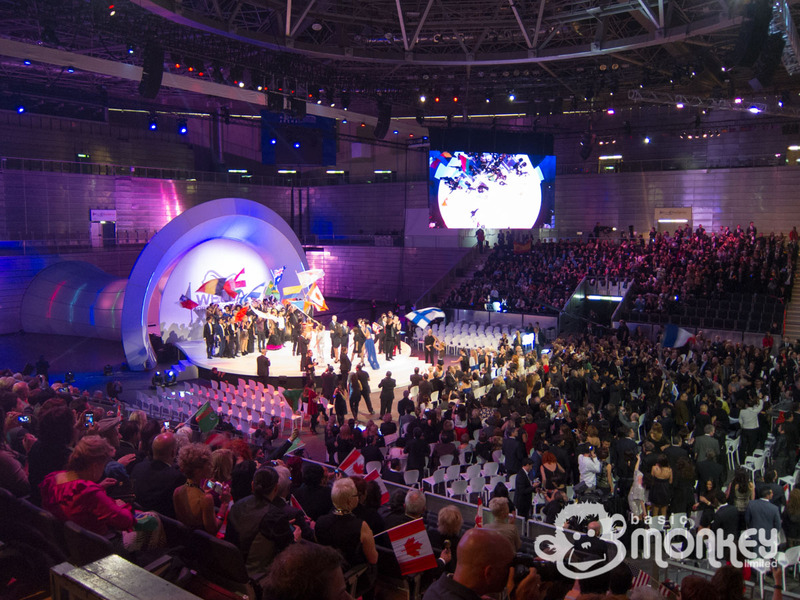 The theme was ‘Sound of Colour’ and is based around the sounds we associate with the colours that we see. 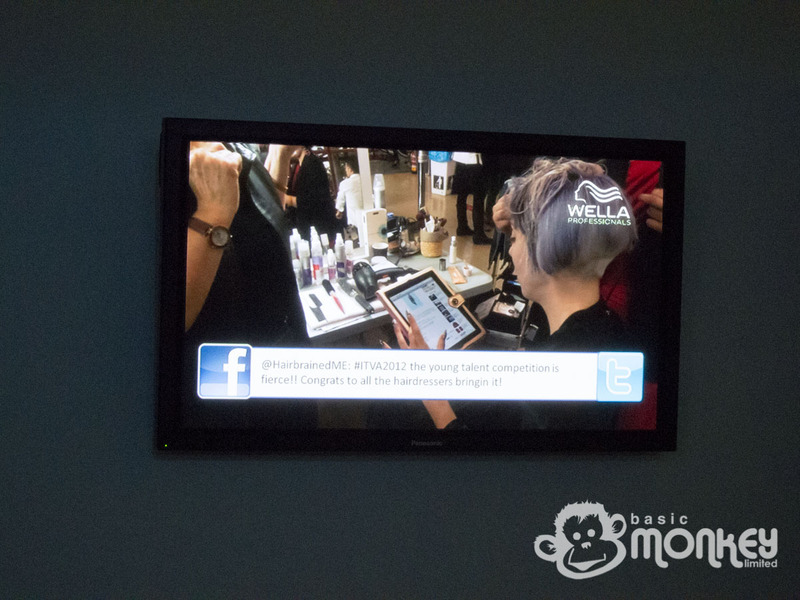 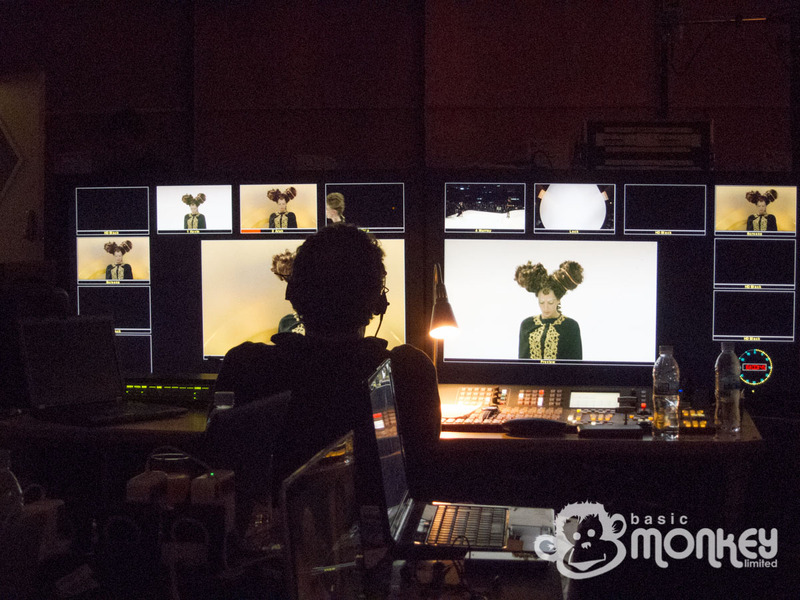 Guests and competitors were all asked for their suggestions and these were brought together in the opening sequence with live action mixed with video content. 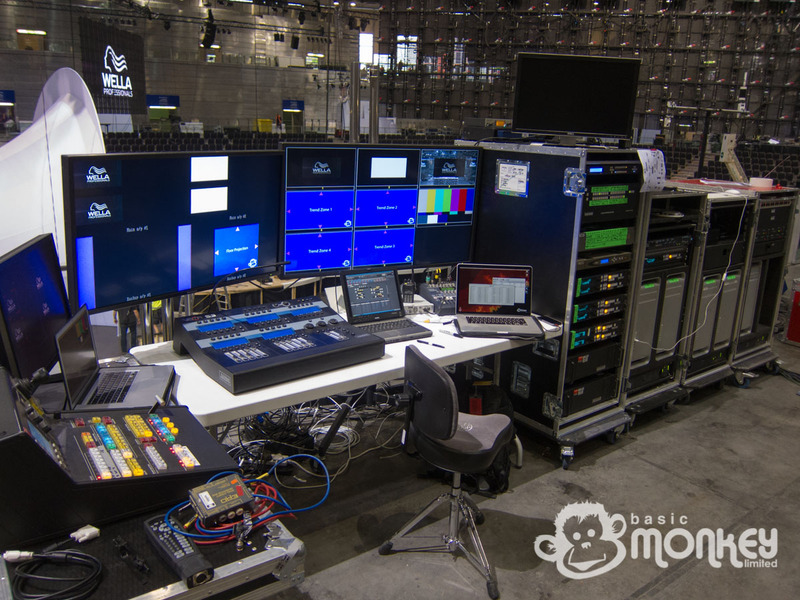 As has been the case for the previous two events that Basic Monkey has been involved with, video is everywhere and big! 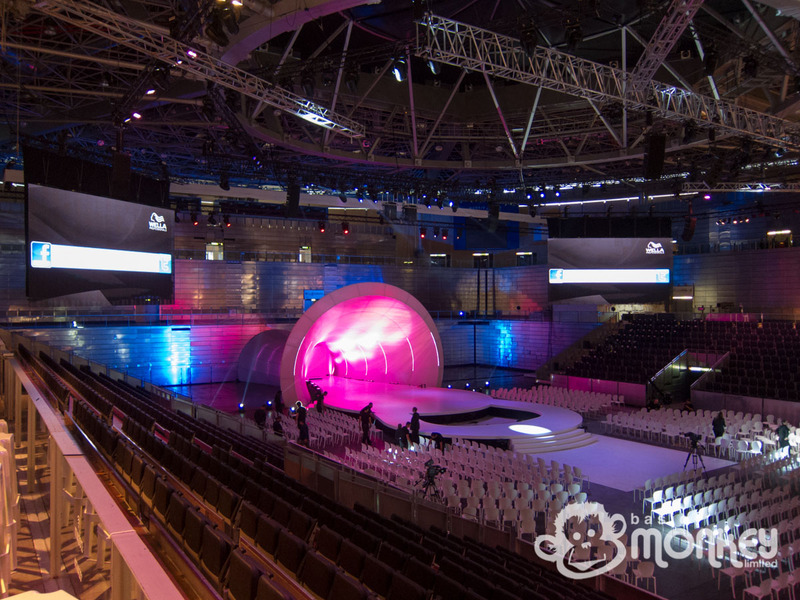 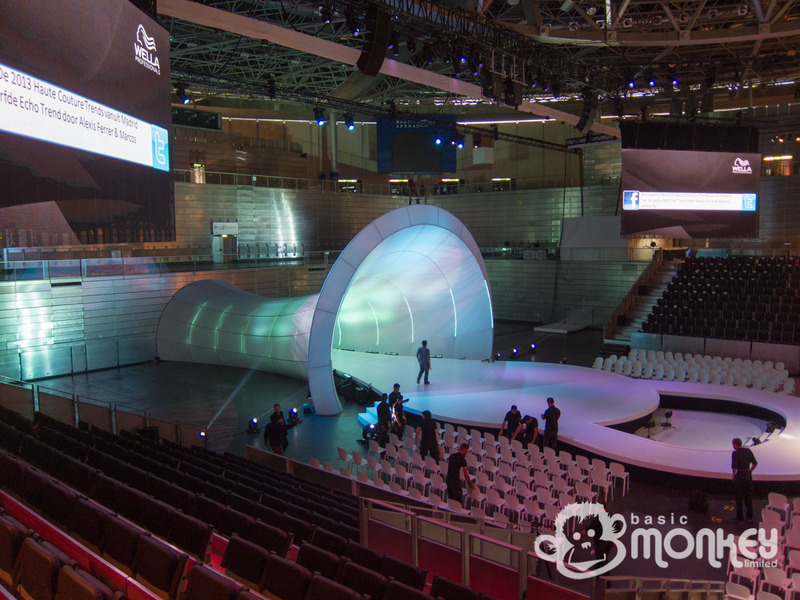 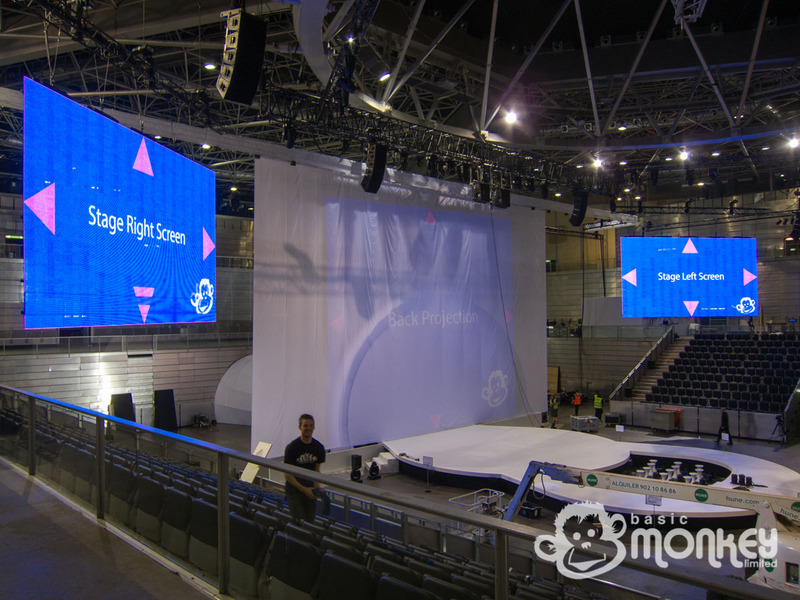 LED screens flank the stage with large projection onto a huge white drape which crosses the whole arena. After the Colour and Young Talent competitions in the morning, the huge white drape drops away after a dramatic countdown, revealing the rest of the arena and the white fabric tunnel on stage. 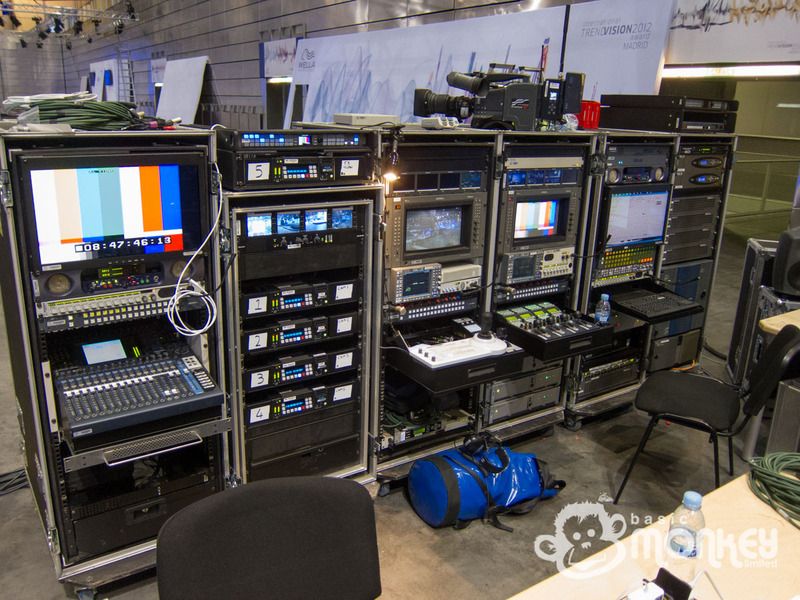 Everything video wise was automated using various routers and switchers, all driven by Catalyst and Vista with James at the helm. 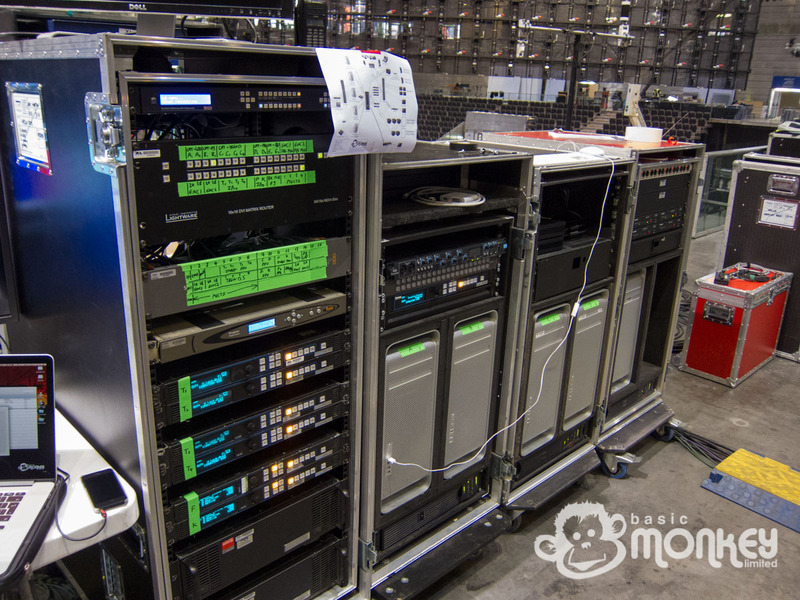 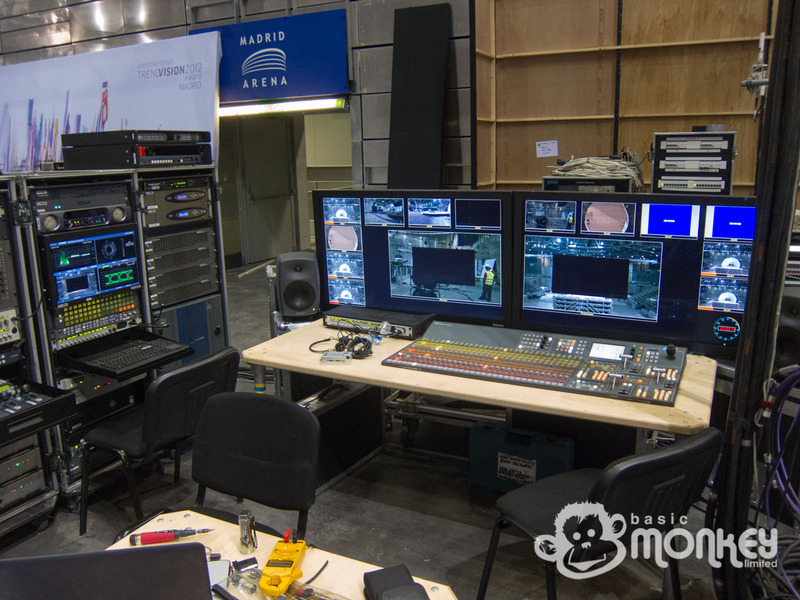 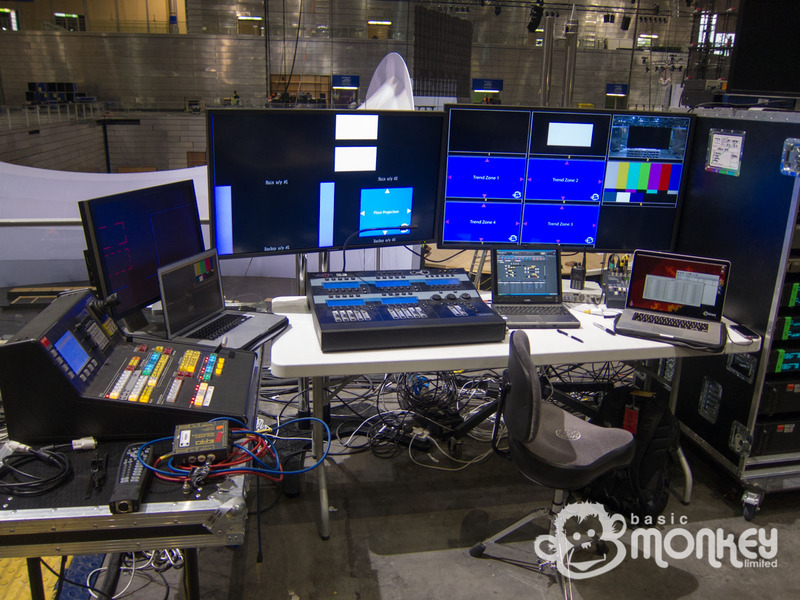 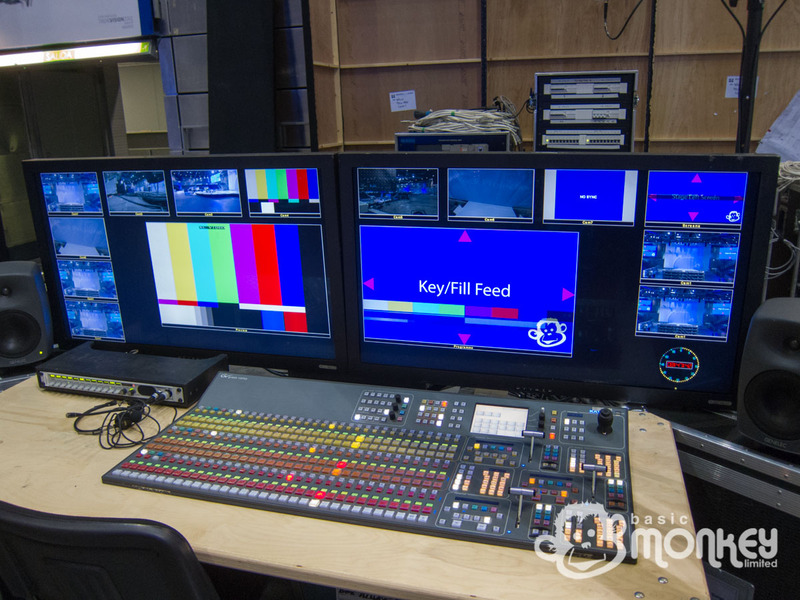 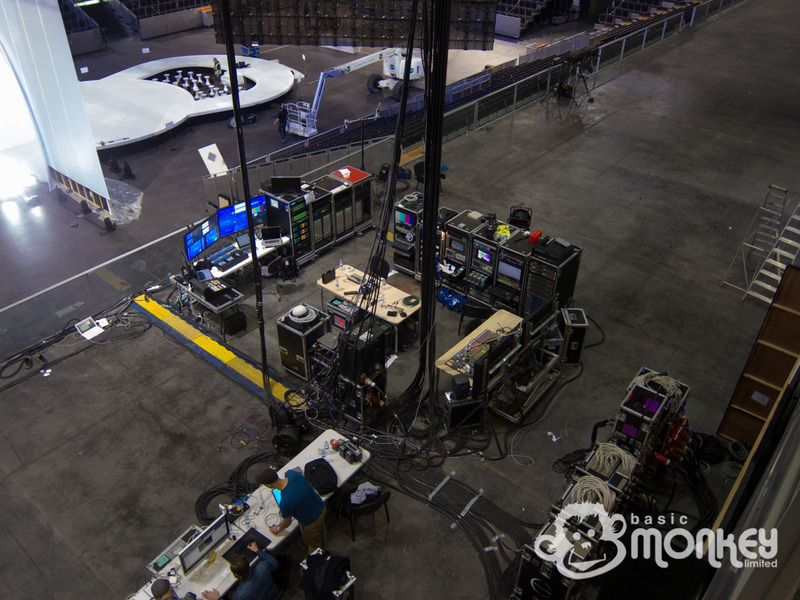 This meant that all the various LCD, LED and projection displays were all driven independently but from one location, keeping everything timed together. 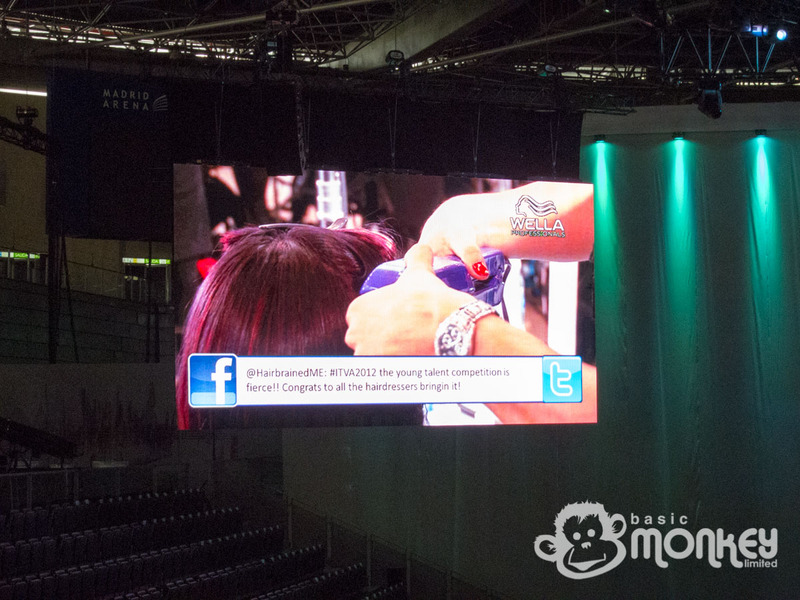 The system also provided name straps for presenters and flags for the competitors, keyed onto the live web stream.